Fifty years ago, on Thursday, April 4, 1968, the sun began to set on Memphis, Tennessee. At the downtown Lorraine Motel, Martin Luther King Jr., dressed for dinner, stepped out of Room 306 and onto the second-floor balcony. Seconds later, he met what his followers feared most: a sniper’s bullet. Within minutes, he lay in the back of a speeding ambulance on the way to St. Joseph’s Hospital. Shortly after 7 p.m., the driving force of the American civil rights movement was dead at the age of 39. As word of King’s assassination spread, the nation went into shock. In Baltimore; Washington, D.C.; Chicago; Detroit; Kansas City, Missouri; and Newark, New Jersey, angry residents took to the streets, rioting against years of bigotry, police brutality, poverty and housing discrimination. The message was clear: With the death of King, many black Americans had lost hope — and patience. When baseball organized an early ‘All-Star’ game to remember Martin Luther King Jr.
President Lyndon B. Johnson declared April 7 a day of national mourning. Flags were flown at half-staff. Churches and synagogues offered special memorial services. And virtually all sports events were canceled. The NBA and the NHL rescheduled playoff games. The Greensboro Open golf tournament postponed its final 36 holes. The National Tennis League suspended its matches, as did the North American Soccer League for four of its five matches. Racetracks closed their gates. Yet Major League Baseball, due to open its season on Monday, made no announcement. For Eckert, the issue became even more complicated when it was announced that King’s funeral would take place in Atlanta on April 9. Schools in many cities announced they would close for the day, as did banks and department stores. Even the New York Stock Exchange would shut down, the first time it had done so in honor of a private citizen. If baseball were to follow suit, Opening Day would have to be pushed back two days. That kind of decision required awareness and conviction. Ultimately, it wasn’t Eckert but a team that stood up for King. The Pittsburgh Pirates, led by black stars Roberto Clemente and Maury Wills, would refuse to play, prompting other teams to take a similar stance. It was the 1960s equivalent of taking a knee. 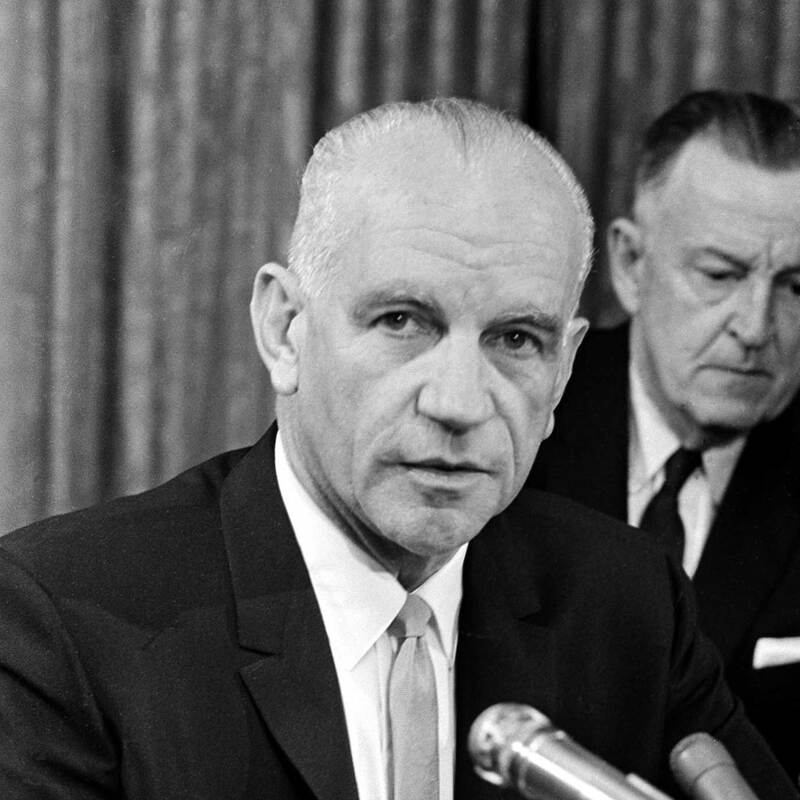 William D. Eckert speaks November 1965 at a news conference in Chicago after his appointment as new baseball commissioner was announced. Several mysteries surround Eckert’s tenure as commissioner — the most curious being how he got the job in the first place. A retired Air Force lieutenant general, Eckert had shown virtually no interest in the game. He’d participated in several sports while in the service — tennis, squash, golf and horseback riding — but never baseball. When he was hired in 1965, he hadn’t been to a game in more than a decade. And he hadn’t played it since participating in intramurals at West Point. By many accounts, Eckert’s appointment was a case of mistaken identity. Apparently, his name showed up on a list of candidates because some club owners thought they were electing the similar-sounding Eugene Zuckert, the former secretary of the Air Force. The best one can say of commissioner William Eckert’s lack of leadership is that he had little precedent to draw on. One thing was certain: The owners wanted to replace the retiring Ford Frick with someone from outside the game. Eckert held a master’s degree in business from Harvard, and after retiring from the military he served as a director of the Logistics Management Institute, a Department of Defense advisory group. He’d also sat on the boards of electronic and real estate companies. In the aftermath of national tragedy, Eckert’s silence quickly became untenable. Forced to take a stance, the Unknown Soldier came to the most spineless decision of all: He passed the buck to the league’s 20 clubs, leaving each to decide independently whether it would play. The ruling not only infuriated the pundits, it confused the clubs. The Washington Senators had moved their season opener from Monday to Tuesday. But upon learning that King’s funeral had been rescheduled, they pushed the game to Wednesday. The Reds, following the Senators’ lead, also postponed their opener to Wednesday. The Houston Astros, meanwhile, announced that their Monday night home opener against Pittsburgh would proceed as scheduled. That’s when the Pirates stepped in. Theirs was one of the most integrated teams in baseball. At a time when the major leagues were nearly three-quarters white, the Pirates were almost equally divided between white and nonwhite players. And the team’s 11 black players included veteran stars Willie Stargell, Donn Clendenon, Matty Alou, Clemente and Wills. To them, it didn’t feel right to take the field. Roberto Clemente #21 of the Pittsburgh Pirates poses for a photo circa 1968. Clemente was especially shaken by King’s murder. He’d gotten to know the man and had even hosted the civil rights leader at his farm in Puerto Rico. 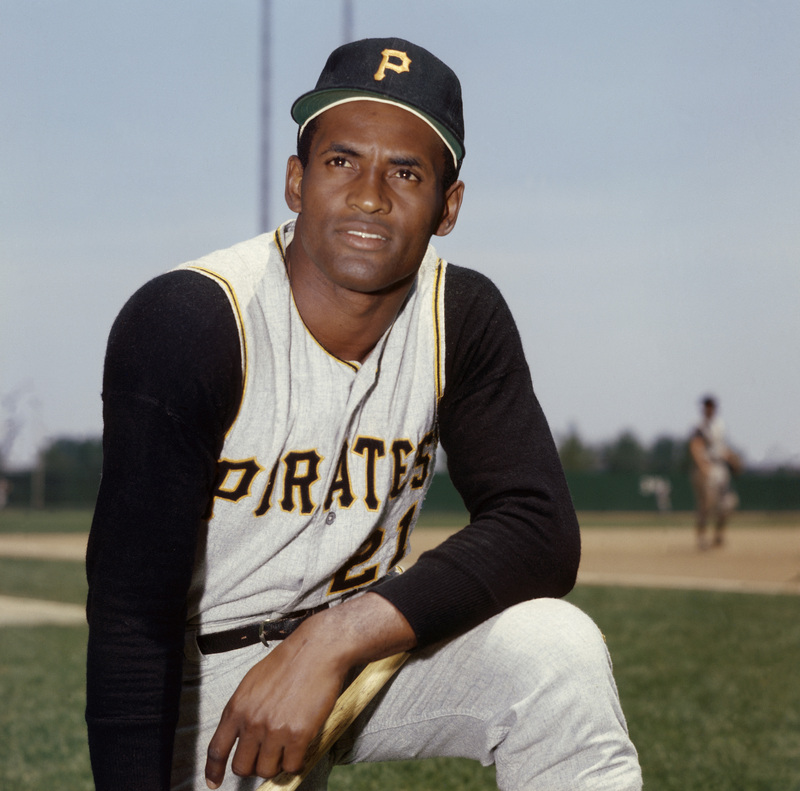 Clemente had been raised in the Caribbean and wasn’t familiar with American racism until baseball brought him to the United States in the 1950s. Upon being subjected to Jim Crow laws during spring training in Florida, Clemente gave Pirates general manager Joe Brown an ultimatum: Since the club’s black players weren’t allowed into segregated restaurants with their white teammates, they wouldn’t get on the team bus with them either. Brown found a middle ground: He gave the black players their own station wagon. They still couldn’t enter “whites-only” restaurants, but at least they’d no longer have to sit on the bus waiting for their teammates to bring them food. The assassination also deeply affected Wills, who had met King in Los Angeles in 1966 while playing for the Dodgers. Even while playing in Los Angeles, Wills came under attack. So when the Astros decided to stick to the schedule and host the Pirates on Monday, Wills, Clemente and their black teammates came to their own decision. On Friday night, April 5, in Richmond, Virginia — the team was in town to play a weekend preseason series against the Yankees — the black players gathered in Clendenon’s room at the Holiday Inn. There, they voted unanimously to sit out the Sunday exhibition game against the Yankees, plus the first two regular-season games against Houston. Portrait of Houston Astros outfielder Bob Watson. He is shown here uniformed, in a waist-up studio pose. At that point, a few of the Pirates’ black players went into the Astros’ clubhouse to appeal to their counterparts. Bob Watson, an outfielder for the Astros and a future general manager (and the first African-American general manager to win a World Series title) needed little encouragement to take a stand. 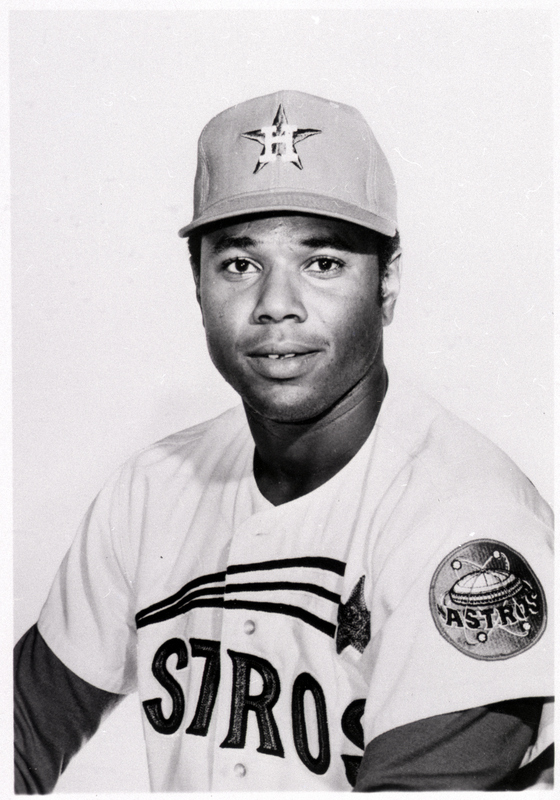 Watson recalled an incident in 1966 when he was a minor leaguer in the Astros organization. He had spent the spring with the parent club in Cocoa, Florida, and lived in a dormitory that housed all of the players. When spring training ended and the major leaguers left to start the season, the minor leaguers assigned to the Florida State League had to find their own lodging. Unable to rent an apartment or get a hotel room, Watson and another black player were forced to sleep in the black-owned mortuary for four nights until they found a black family to take them in. So when the Pirates approached Watson, he was immediately on board. Other teams soon followed the Pirates’ lead and, one by one, canceled their openers. The last holdouts, the Dodgers, were due to host the Phillies in Los Angeles. Team owner Walter O’Malley, who was the club’s vice president in 1947 when the team signed Jackie Robinson, wanted to go ahead with the game. According to an Associated Press story, O’Malley figured King’s funeral would be over by the time his team took the field on the West Coast. Phillies general manager John Quinn finally ended the madness, announcing that his team would rather forfeit than play. O’Malley, after meeting with Quinn and Giles, relented. Then, and only then, did Eckert call off all Opening Day games. He officially moved the start of the season to Wednesday, the day after King was laid to rest. Two months later, Eckert faced a similar decision after the assassination of presidential candidate Robert Kennedy — and handled it in the same indecisive manner. In the end, he pushed back the games scheduled on the afternoon of Kennedy’s funeral to that evening, letting the individual clubs decide whether they’d play the next day, which was designated a time of national mourning. Blass still shakes his head over Eckert’s handling of King’s assassination. “You’d like to say this man took charge and [postponed] baseball for a specific period. That being said, looking back at age 76 now, I’m glad to be part of a team that did not hesitate,” he said.